DPB-80P mini tablet capsule blister packing machine is suitable for capsule, tablet, big honey pill, candy, liquid, paste, one injector as well as irregular shape Al-plastic, paper-plastic composite sealing packing in pharmacy, healthcare, food, cosmetics, medical equipment industry etc. 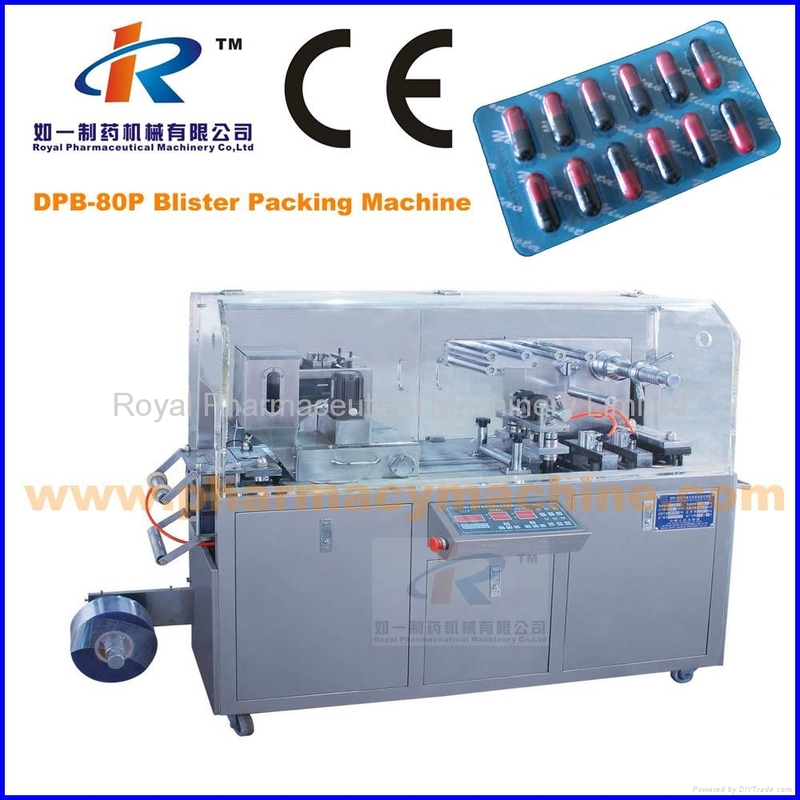 DPB-80P mini tablet capsule blister packing machine is of flat-plate structure, with pressing, molding, meshes heat-sealing, adjustable travel range, for small size of body and ease of operation. It is applied to Aluminum-plastic packing for capsule, tablet, candy, healthcare, small hardware etc. It is widely used in small pharmacy factory, preparation-room of hospital institute laboratory; mini motor test workshop .The machine reaches advanced level in china. With manipulator towing and adjustable travel range, it can be suited for blister packing of various sizes. The whole procedure of feeding, forming, heat-sealing, impressing, batch number printing and cutting is accomplished automatically and continuously machine is small in size , with frequency inverter and ease of operation.